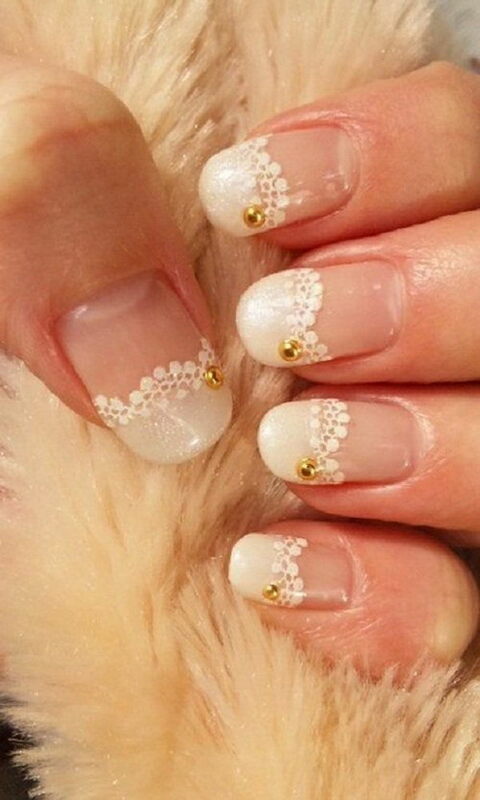 Lace is typically made by materials such as silk, gold, or silver threads, cotton thread. 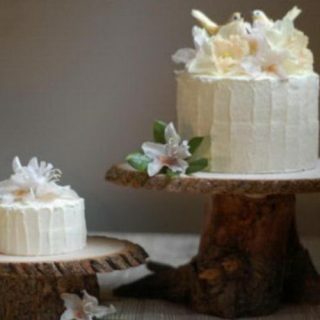 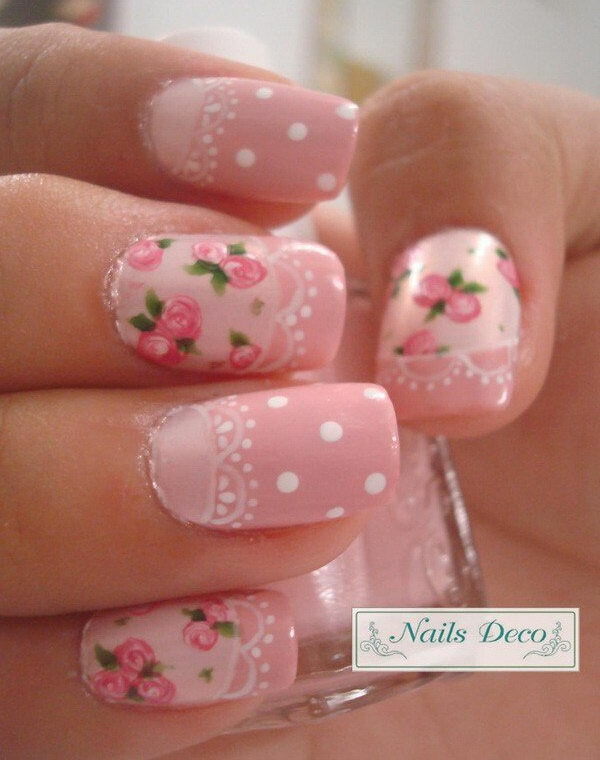 It is one of classic ornaments for females on their garments, costume or wedding dress. 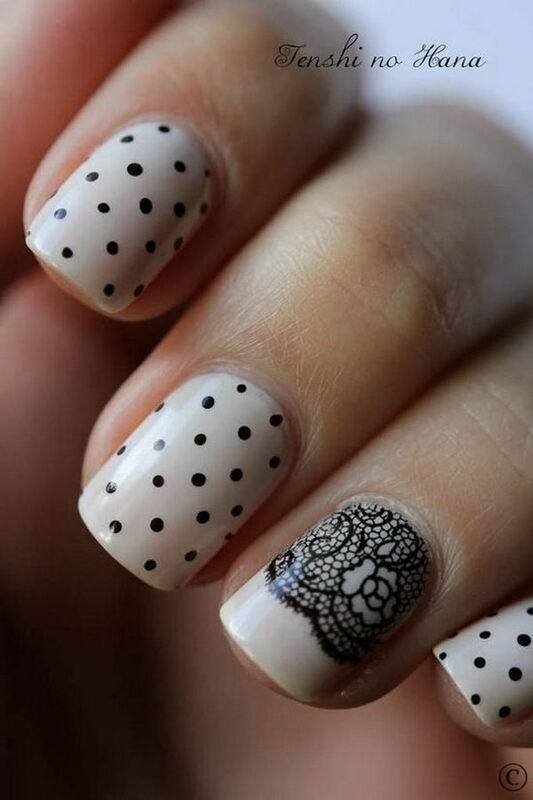 Women are always fascinated by these inherently romantic and intricate fabric patterns. 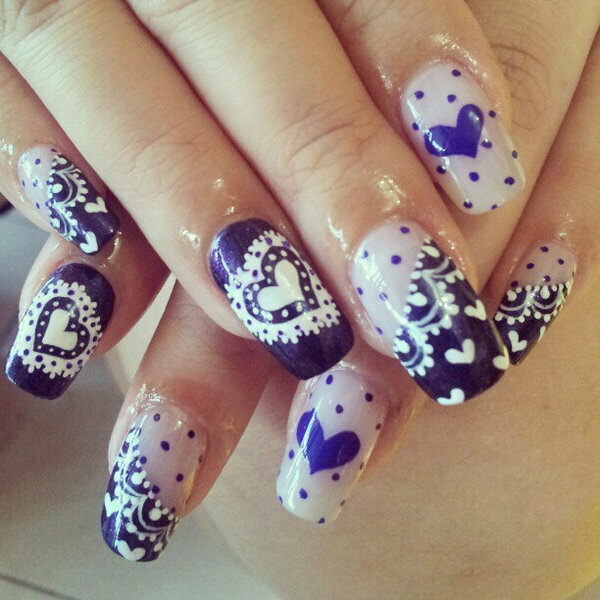 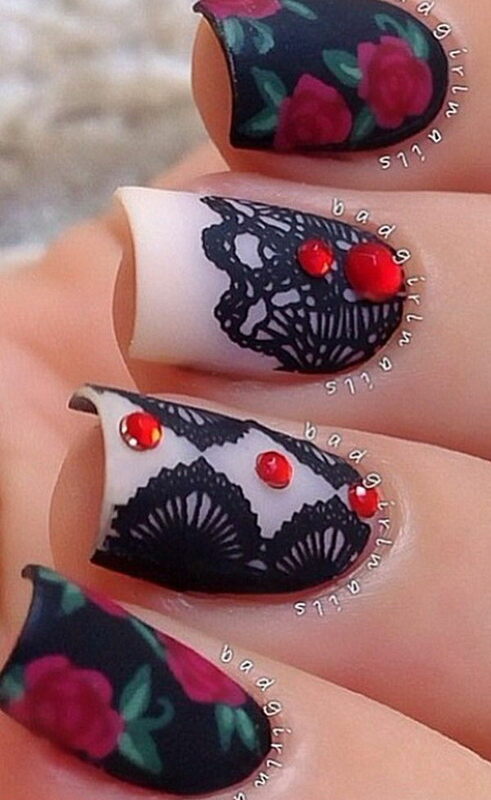 These days, the lace trend is being so hot not only in clothing designs but in tattoo and nail designs. 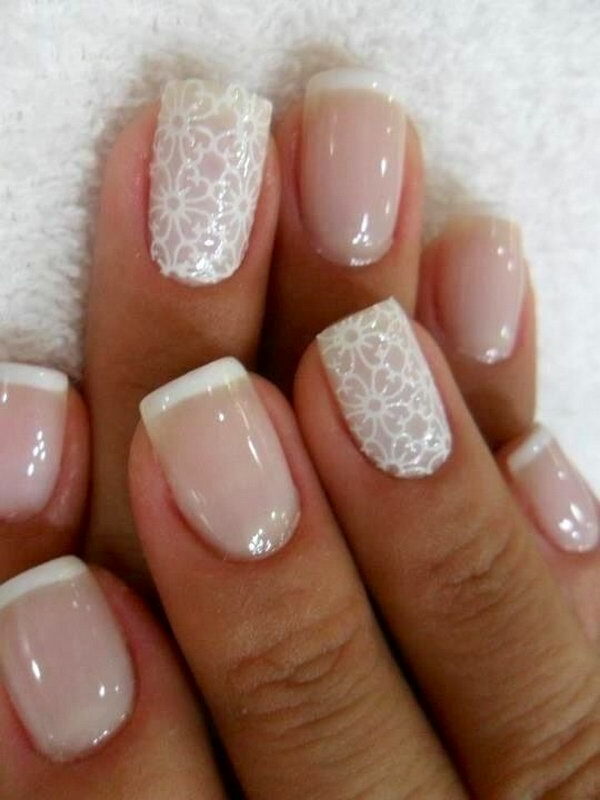 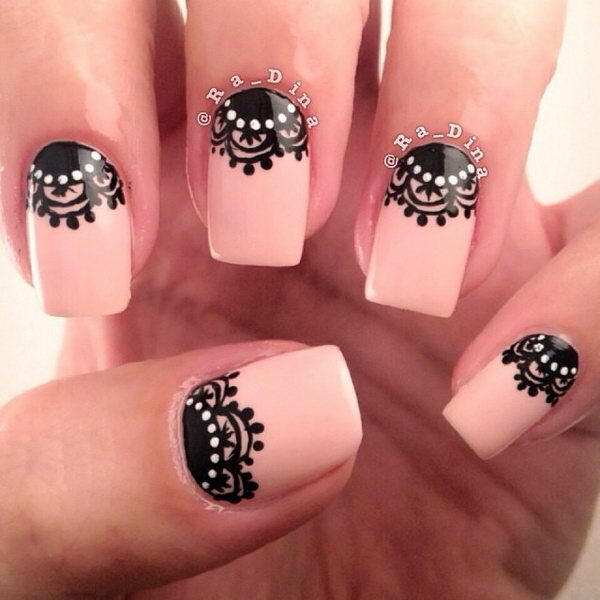 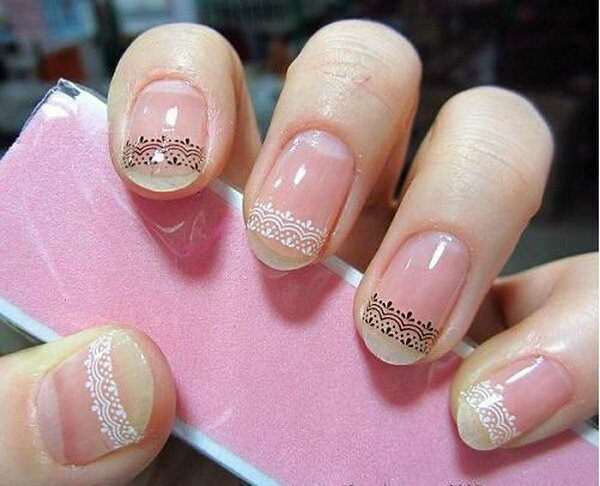 Lace nails are exquisite and elegant application to finish women’s fashion. 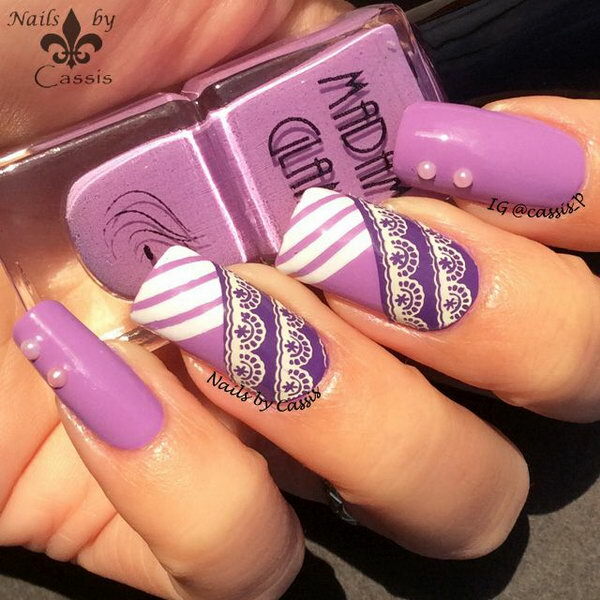 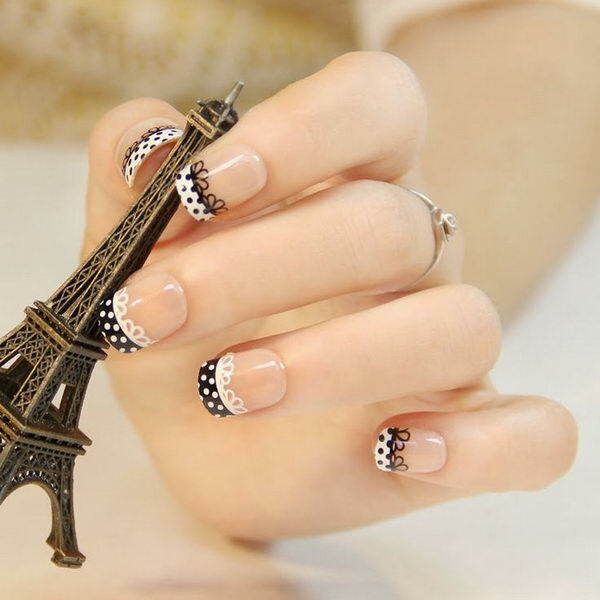 It is naturally a favorite choice for women to create feminine style of nails and express their fashion statement. 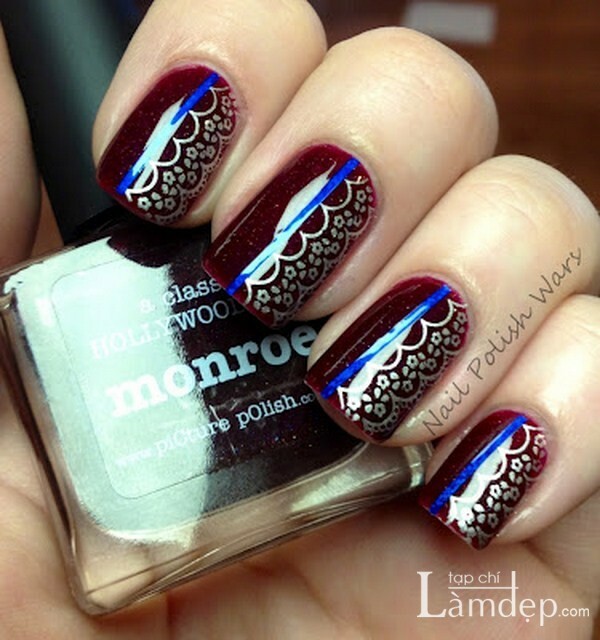 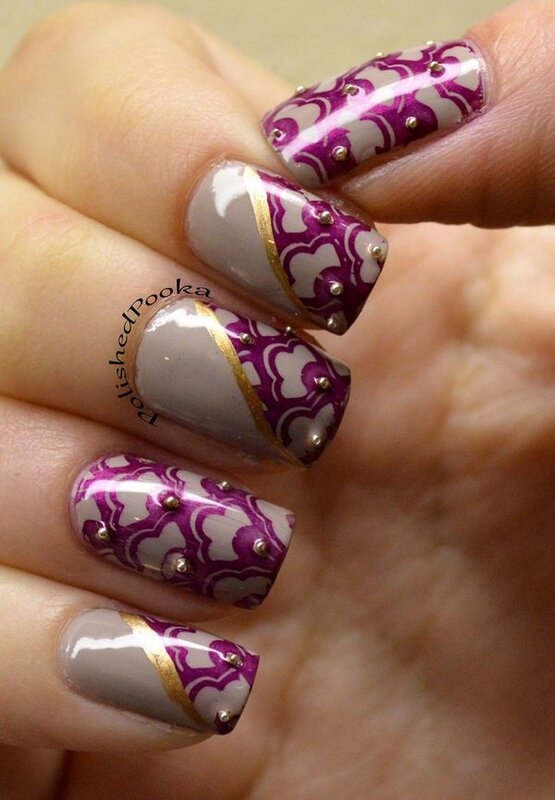 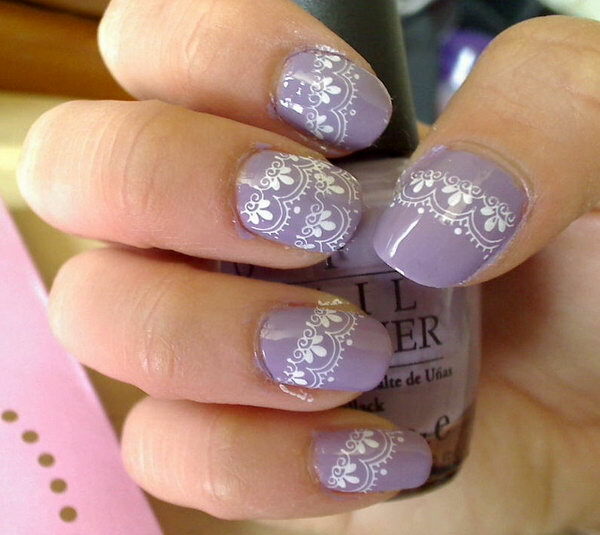 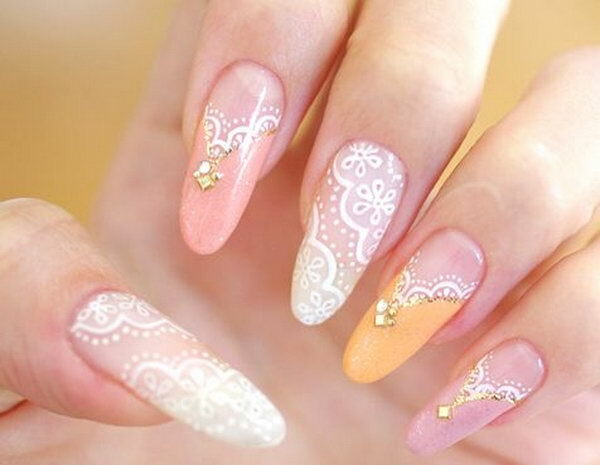 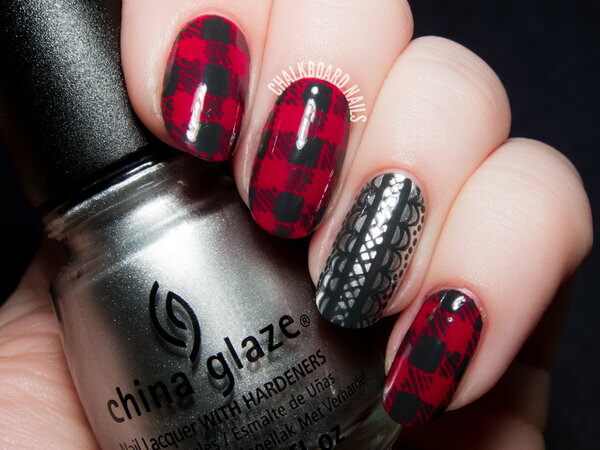 If you want to make your nails a little bit different and fashionable, then adding a lace pattern to it is a nice try. 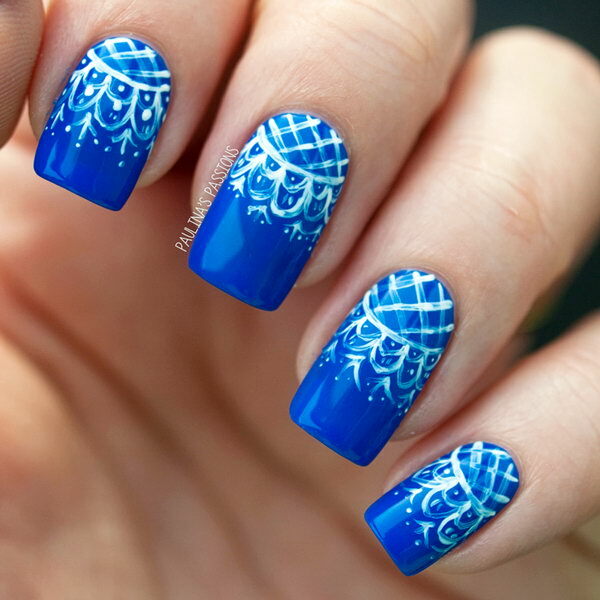 Whether you only want to make the impression of a lace pattern by using your nail painting skills or you want to use actual lace, the final outcome of your nails will be sophisticated and glamorous. 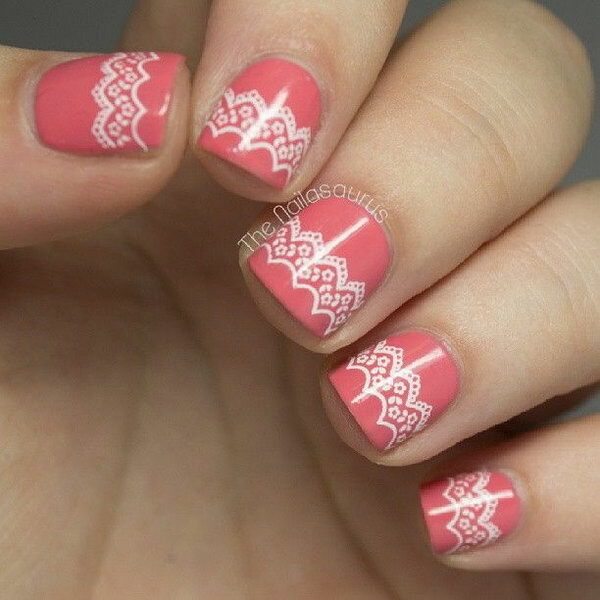 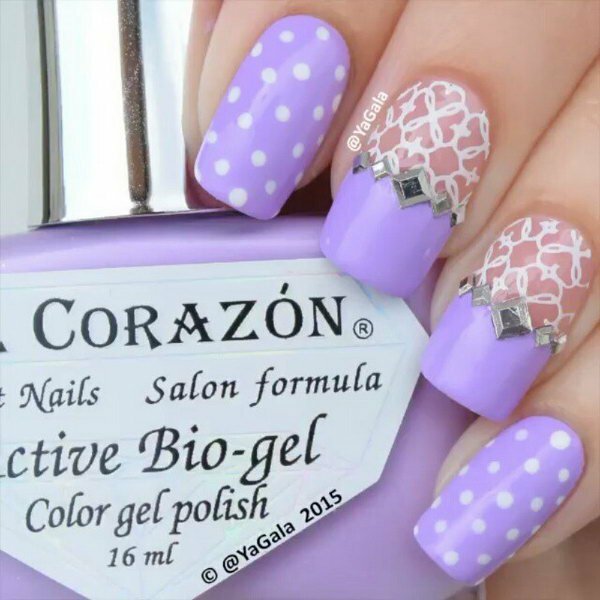 Today, we will show you a list of delicate and fashionable lace nail design ideas to give you a completely fashionable look this year. 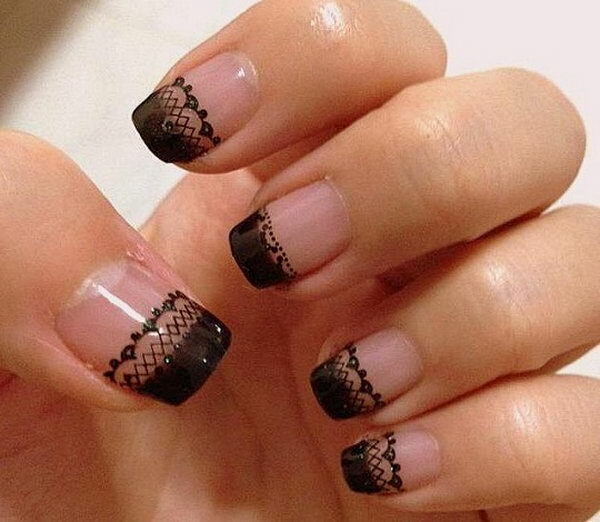 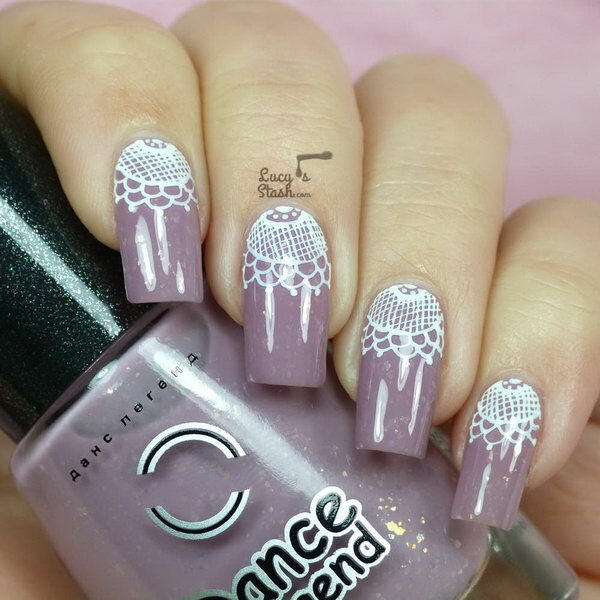 These lace nails exude romance and elegance, and can fit in with any outfit you put on. 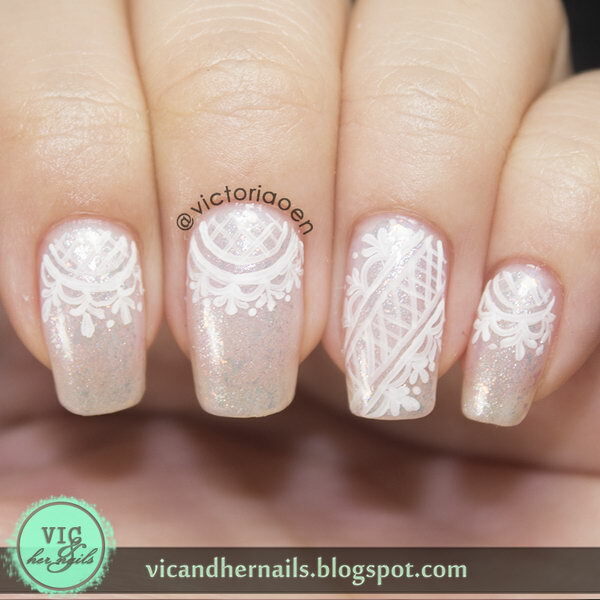 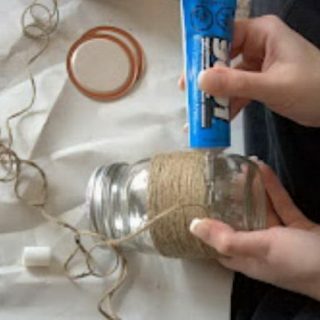 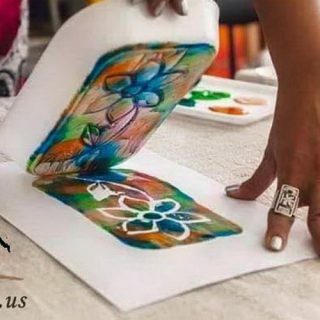 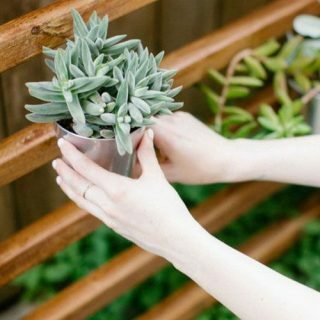 Hope you’ll enjoy these collections and even try some of them yourself or get some inspiration and use your imagination to create your own lace nail art.